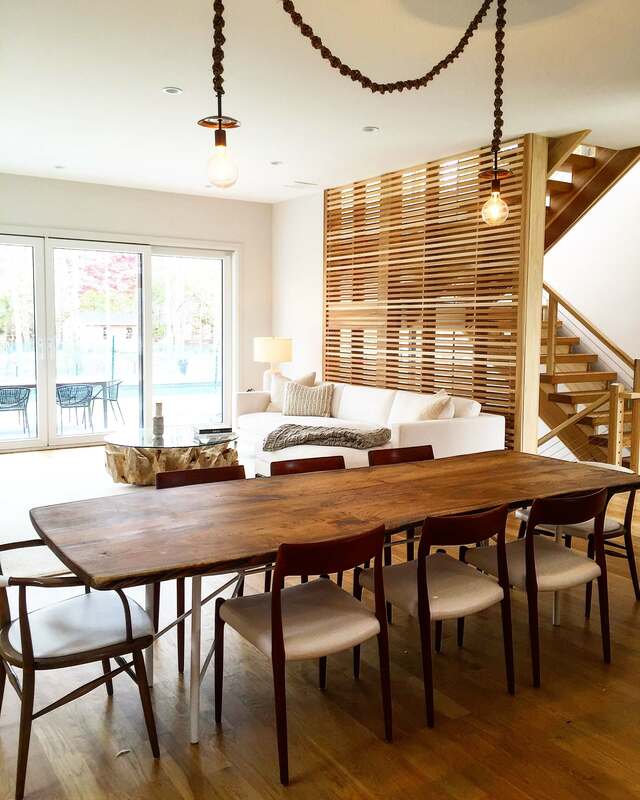 Living Wood Design creates custom pieces for the Property Brothers show! 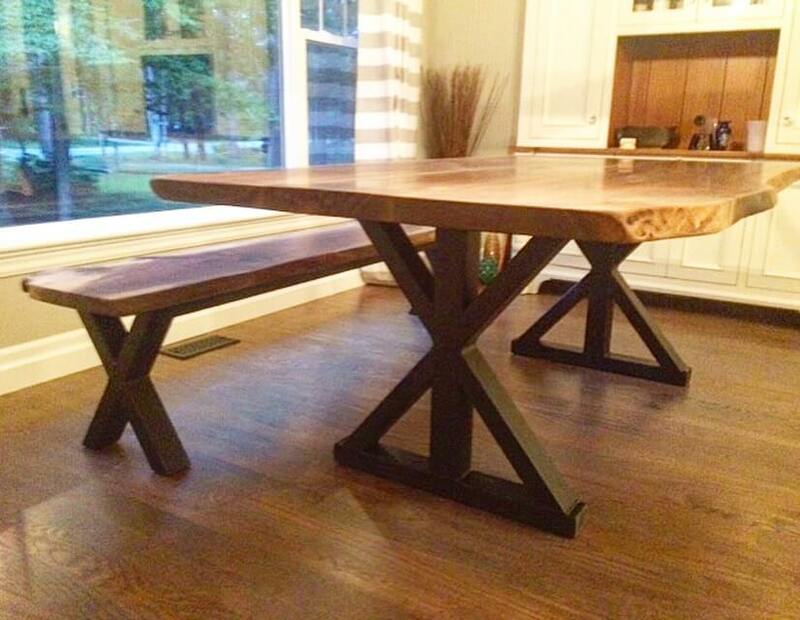 Our 12′ black walnut Muskoka table and bench! 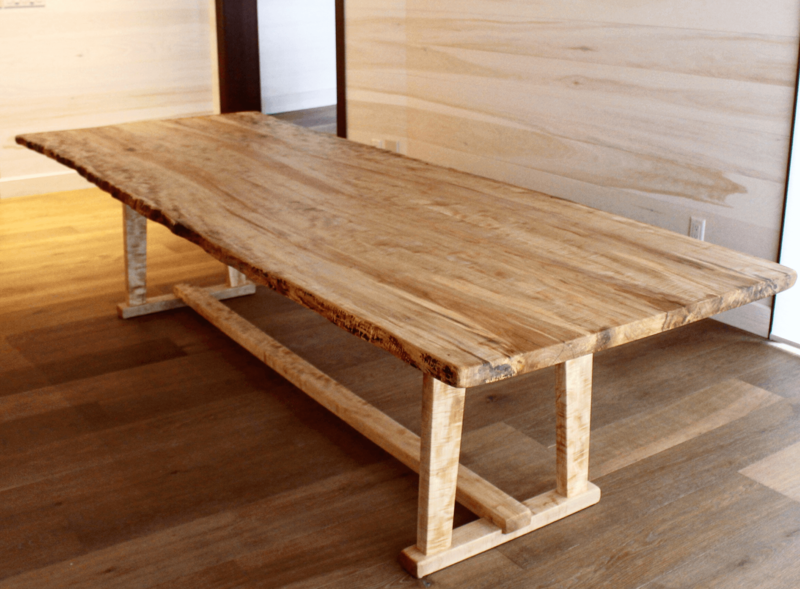 We wanted a table that was organic in shape and handmade by a passionate craftsman. 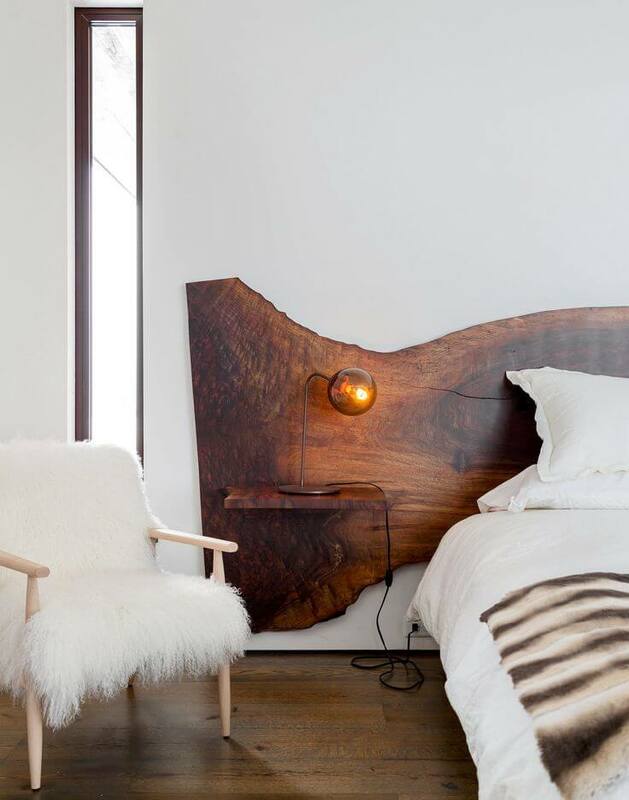 Living Wood Design surpassed our expectations. 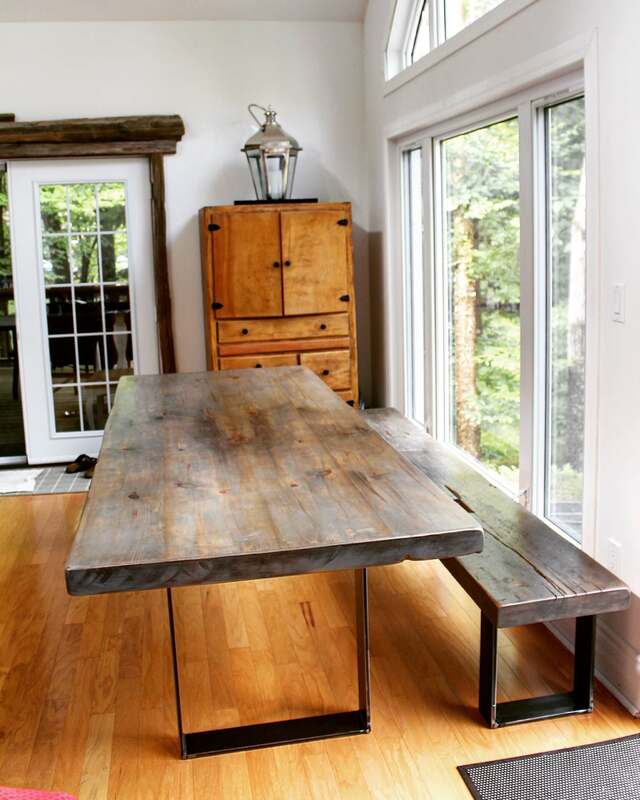 This gorgeous table has a strength and beauty that grounds our family as a central gathering place at our cottage. Working with Anna and Andy was a wonderful experience from start to finish. 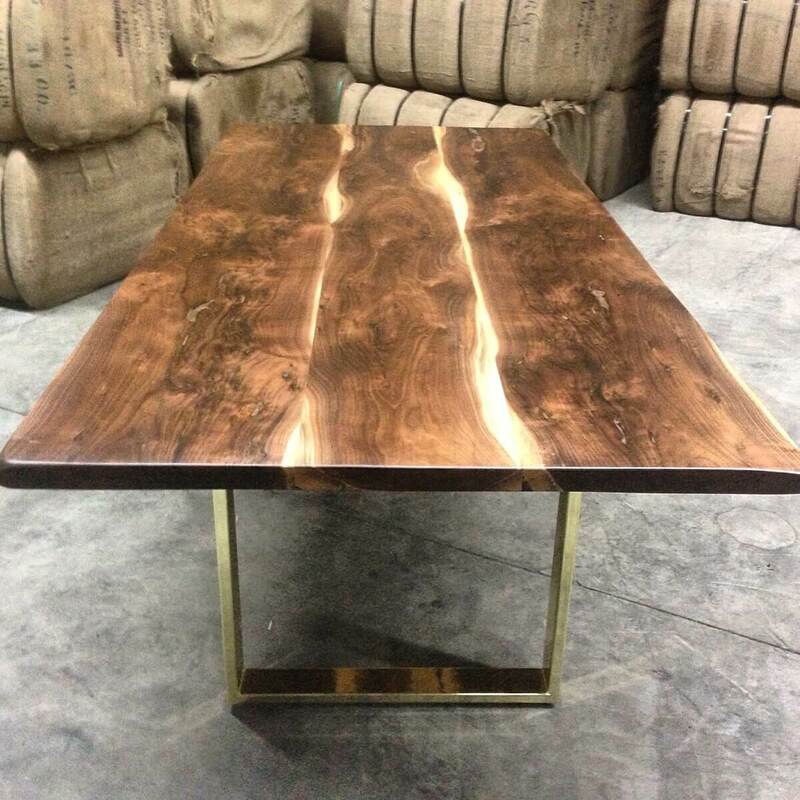 We love our custom walnut table and shelf and would recommend Living Wood Design to anyone nterested in designing a unique, custom piece with professionalism at the helm. Having ordered our pieces for delivery to our home in St. Croix in the Virgin Islands, thousands of miles away, and not knowing anyone who had used LWD before was indeed a risk but one worth taking. Anna and I hit it off right from the start in our communication over the phone and both she and her husband Andy were extremely communicative throughout the whole process, putting me at ease. They both gave realistic expectations for the shipping process and the whole thing was streamlined and well-done. Great job you two! 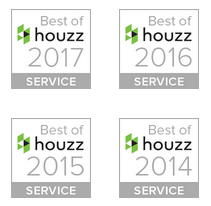 Hopefully we can give you more business in the future! 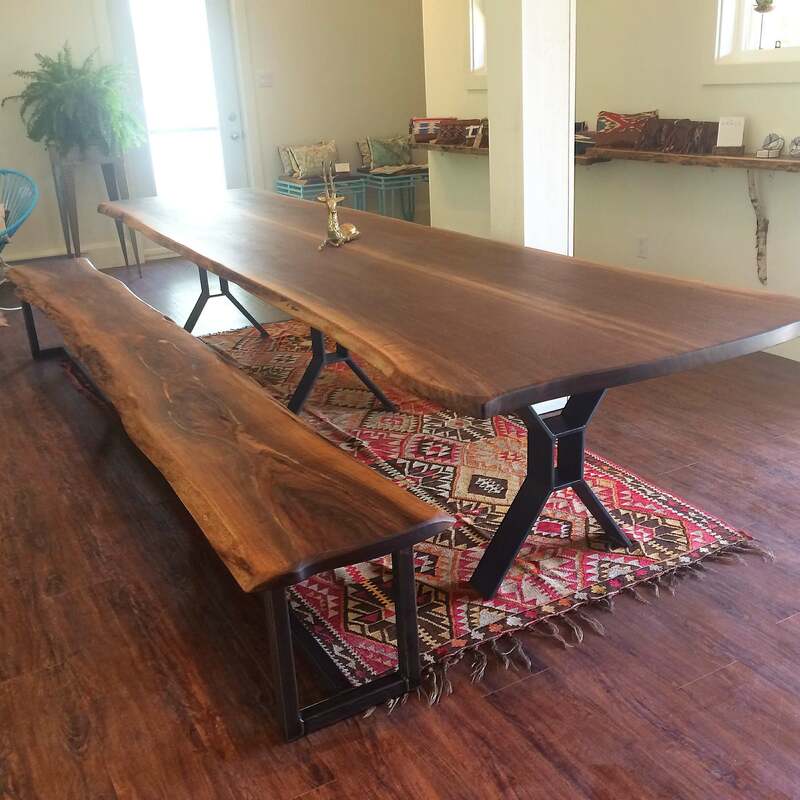 We are thrilled with our Living Wood table! 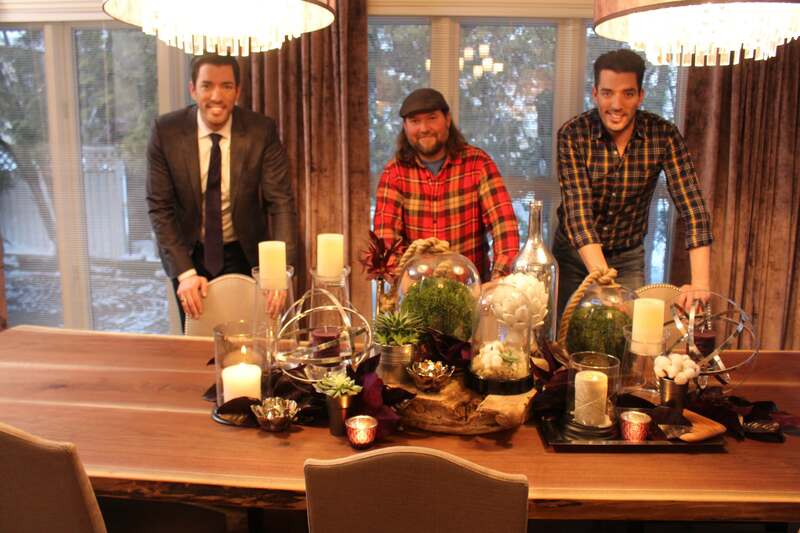 The table was commissioned for an episode of Property Brothers that was filmed for our renovation. 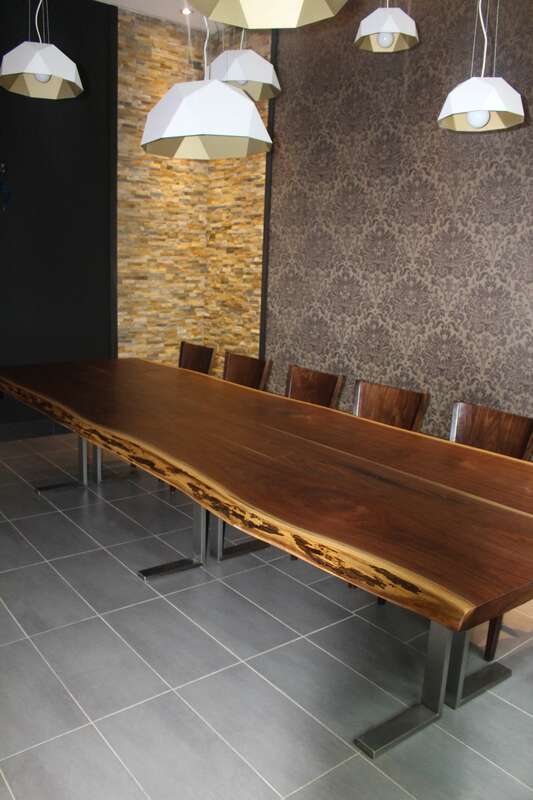 Living Wood created the perfect complement to our home’s design – the table stands out as the centerpiece in a house full of centerpieces! 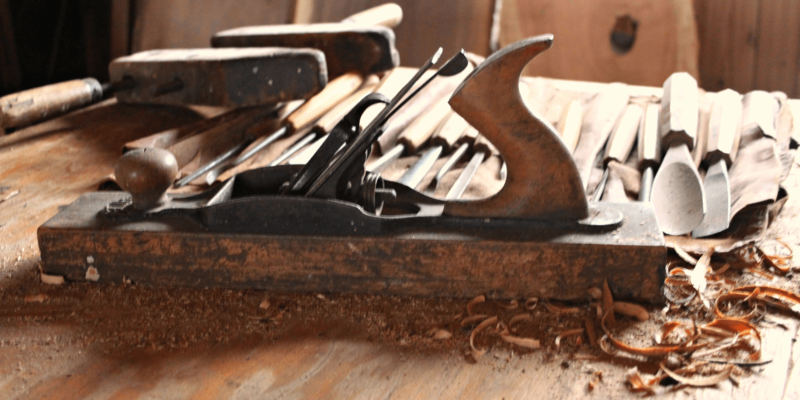 The craftsmanship is remarkable – Andy and Anna have created a timeless piece that we love. 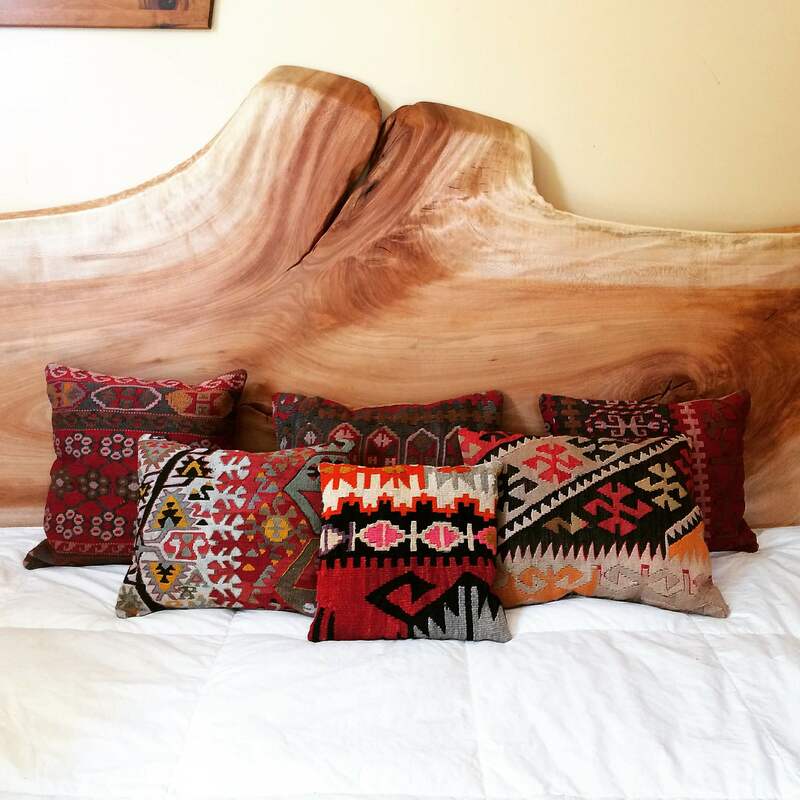 We highly recommended the products and the people behind Living Wood Design. 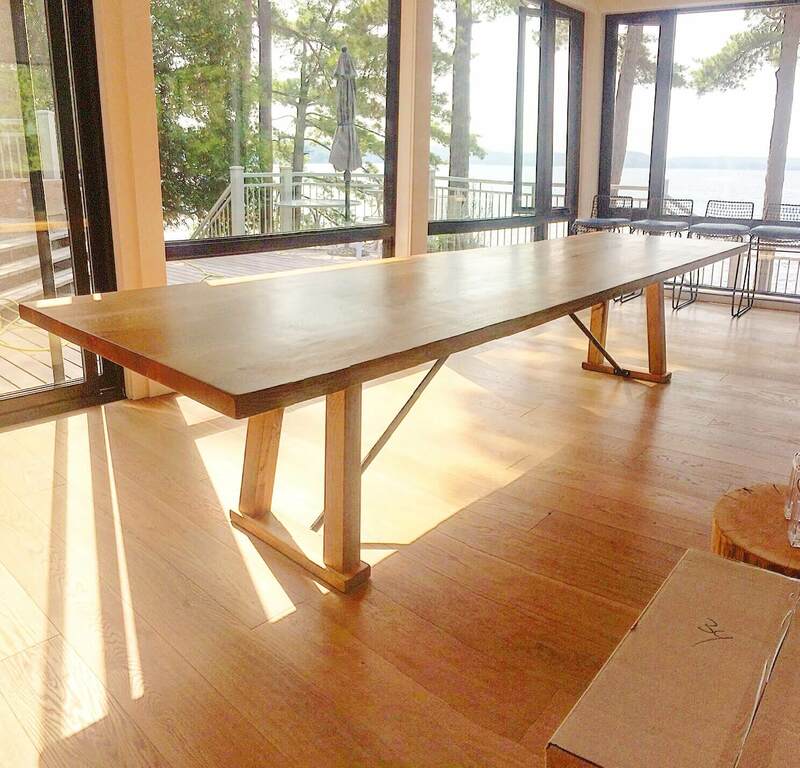 We had Andy create a 12’ table for our cottage on Lake Rosseau, and we are blown away by how beautiful our table is! 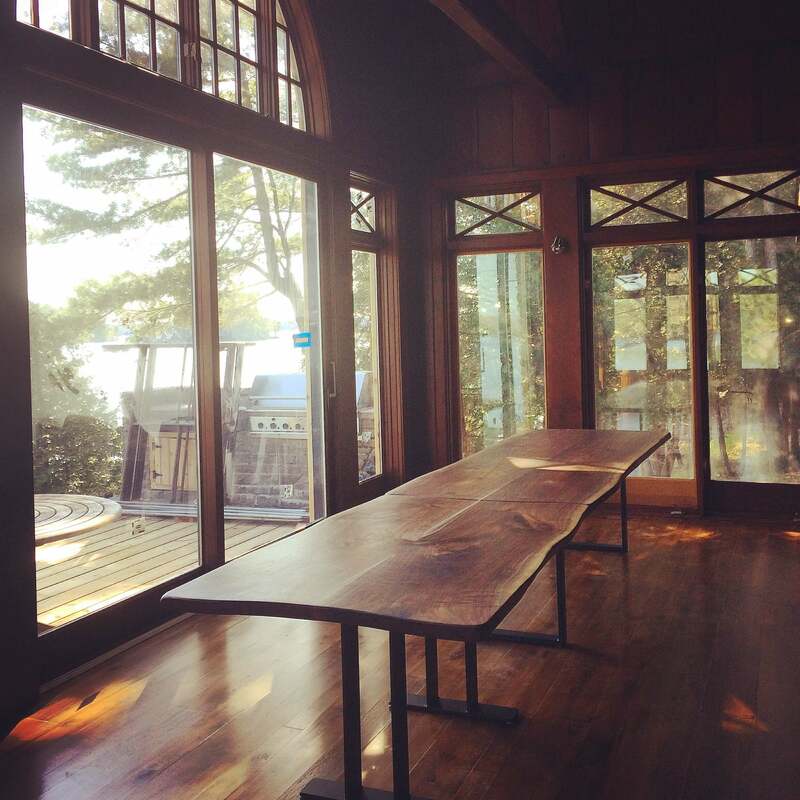 We’re looking forward to many years of building memories around this table with friends and family. 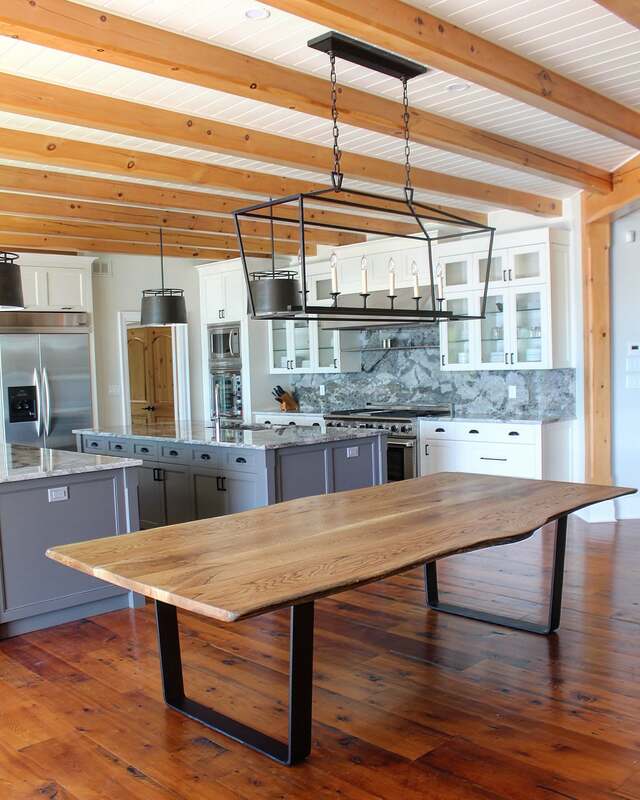 Andy and Anna were such a pleasure to work with, even delivering our table to our island cottage on a barge and installing it with their team with care and precision. 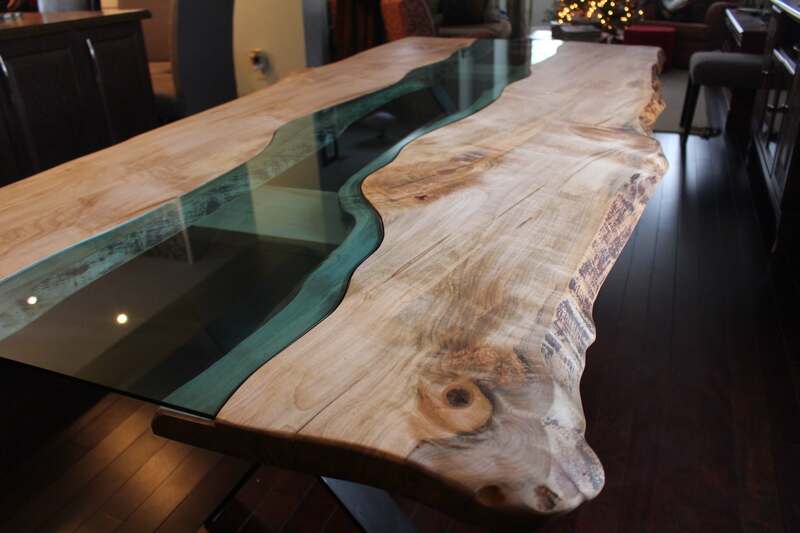 We're looking forward to having them create more pieces for us in the near future! 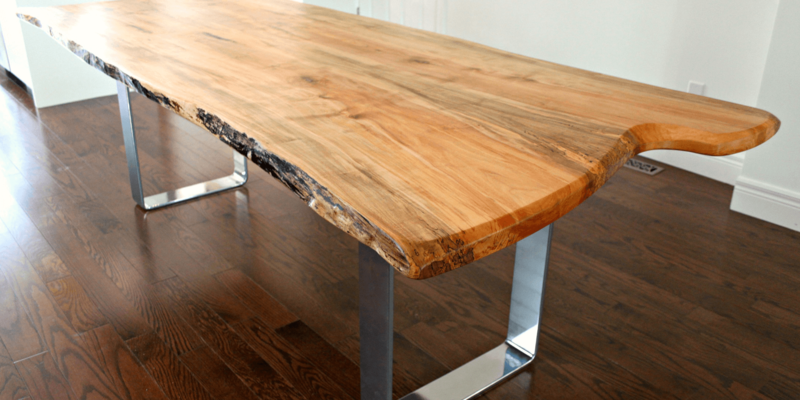 I commissioned Living Wood Design to develop a single-slab live edge dining table and matching console. Andy and Anna listened intently to my vision and offered many reative design suggestions to enhance the look and feel of the pieces. 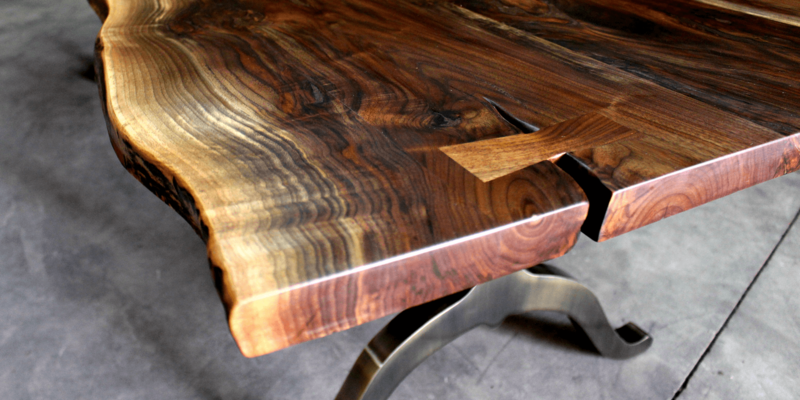 My table and console turned from pieces of furniture to pieces of art that far exceeded my highest expectations. 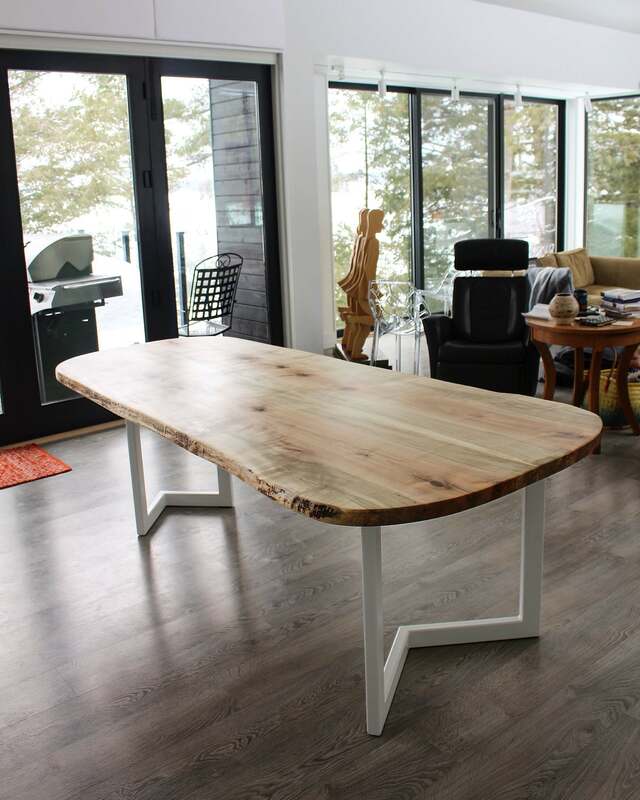 We commissioned Living Wood Design to create some custom furniture for a new cottage we built in Muskoka. 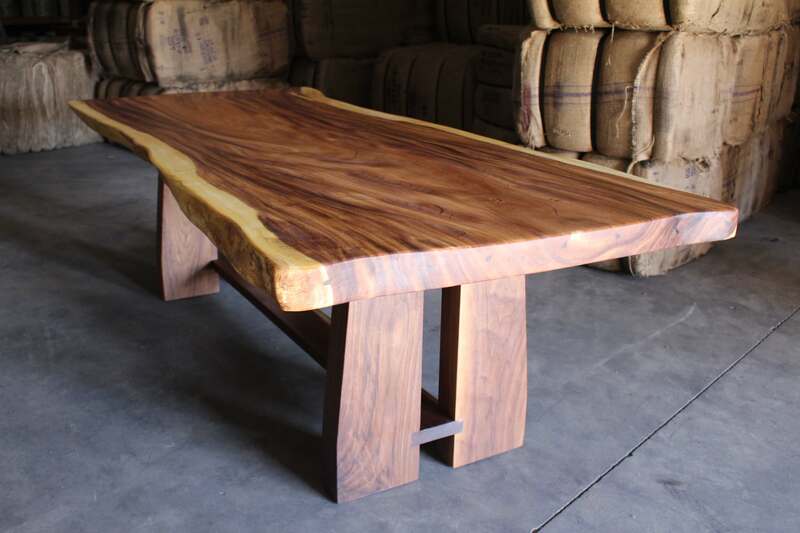 They designed and built a one of a kind black walnut dining table for us, as well as a matching sideboard and coffee table. 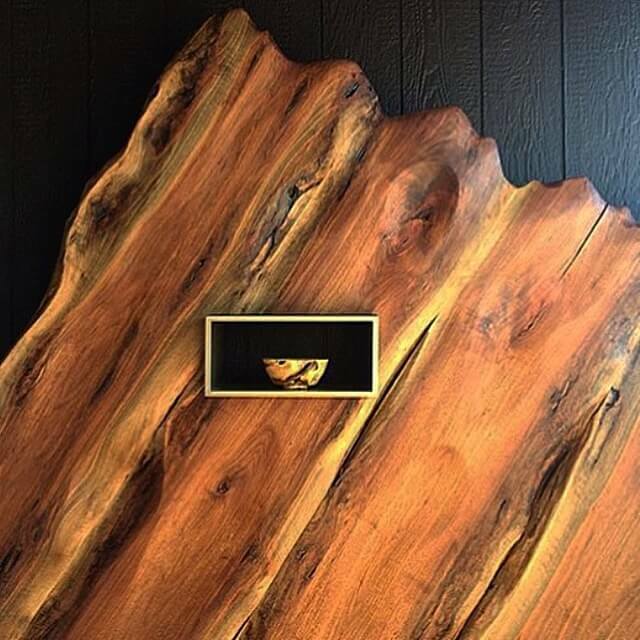 Andy is a truly remarkable artist; he has created absolutely beautiful, timeless pieces that have become the focal points in our cottage. 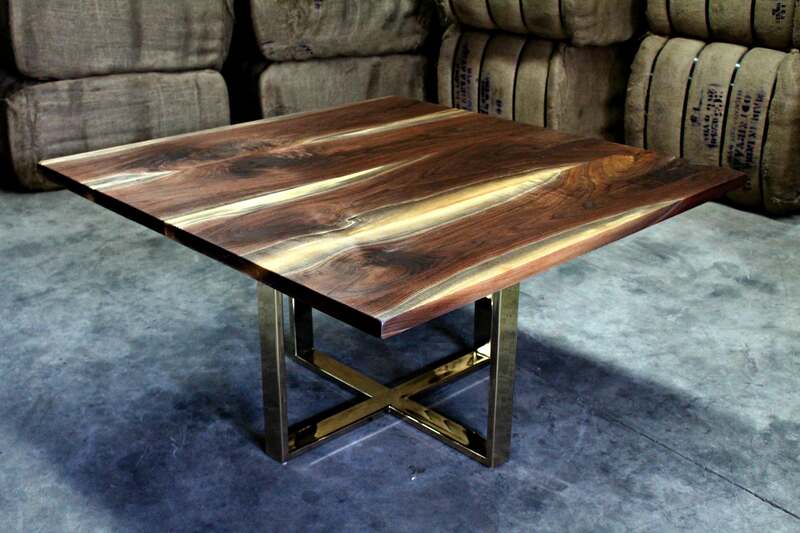 We completely enjoyed the entire process of collaborating with Andy and Anna on these pieces. 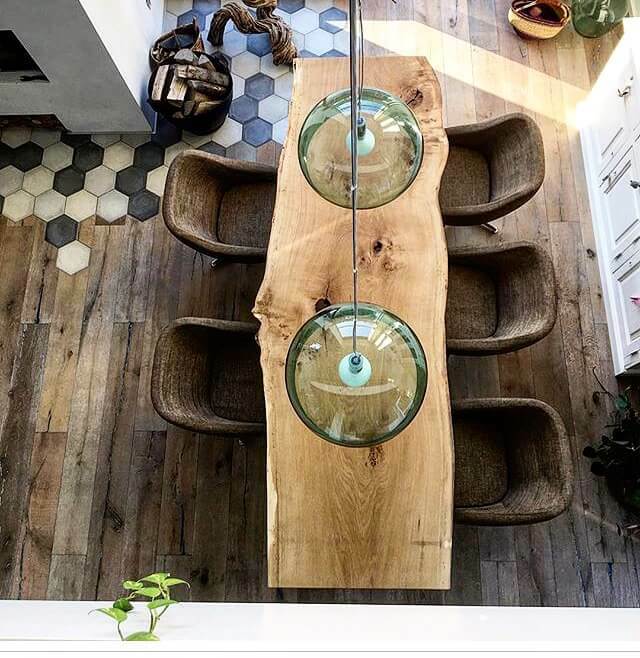 We were also impressed with Living Wood’s dedication to sustainability in all that they do, using hardwoods salvaged in Ontario; having furniture that is in harmony with nature is important to us. 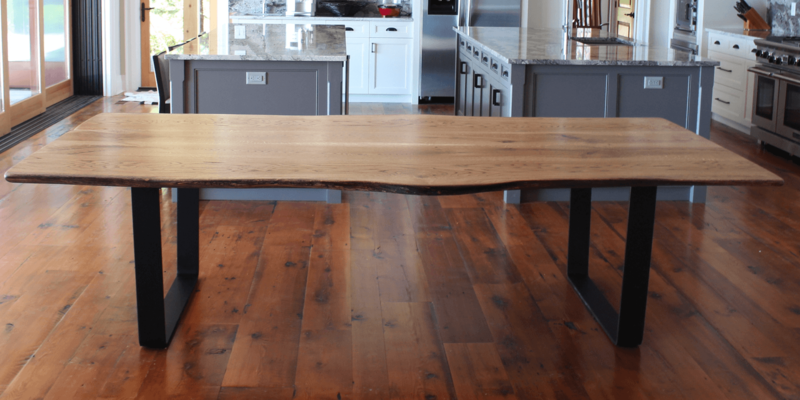 The table I purchased – a live edge walnut slab table- is absolutely stunning. 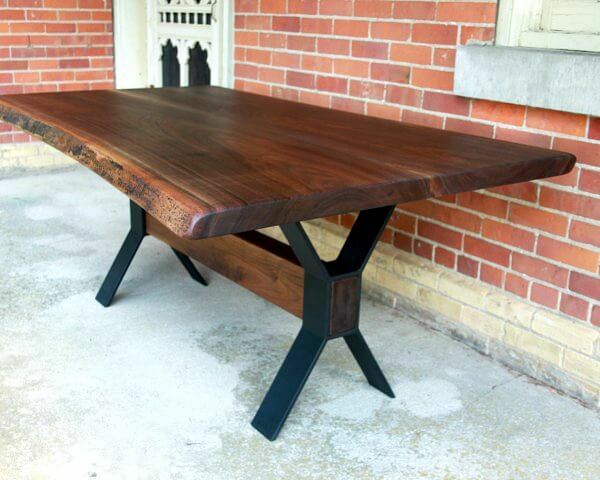 Andy's craftsmanship is excellent and the customer service was terrific. 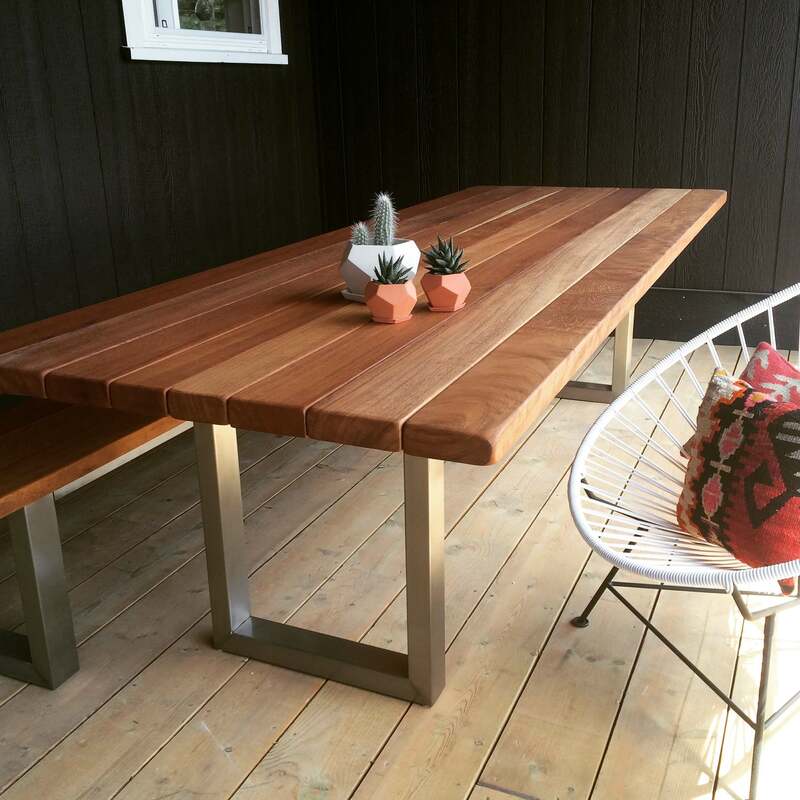 I worked with Living Wood via email to design this table for one of my clients, and they are completely thrilled with the results. 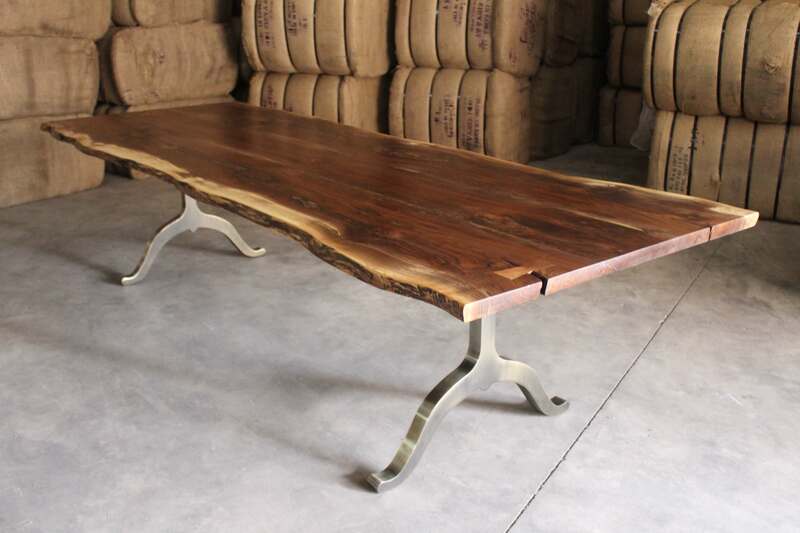 Anna kept me informed of everything from timing to shipping estimates to contacting me to make sure the table arrived safely. Highly recommended! 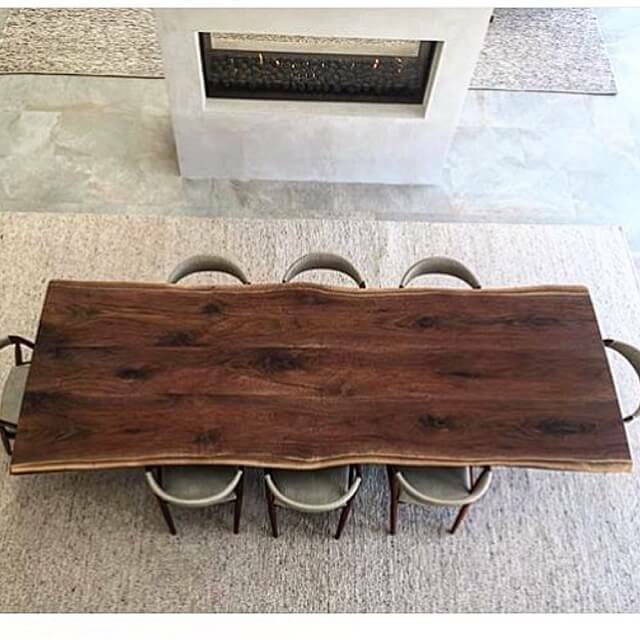 My husband and I needed a show stopping custom made table for our Manhattan home, as we often entertain and needed a large dining table to accommodate up to 16 people. 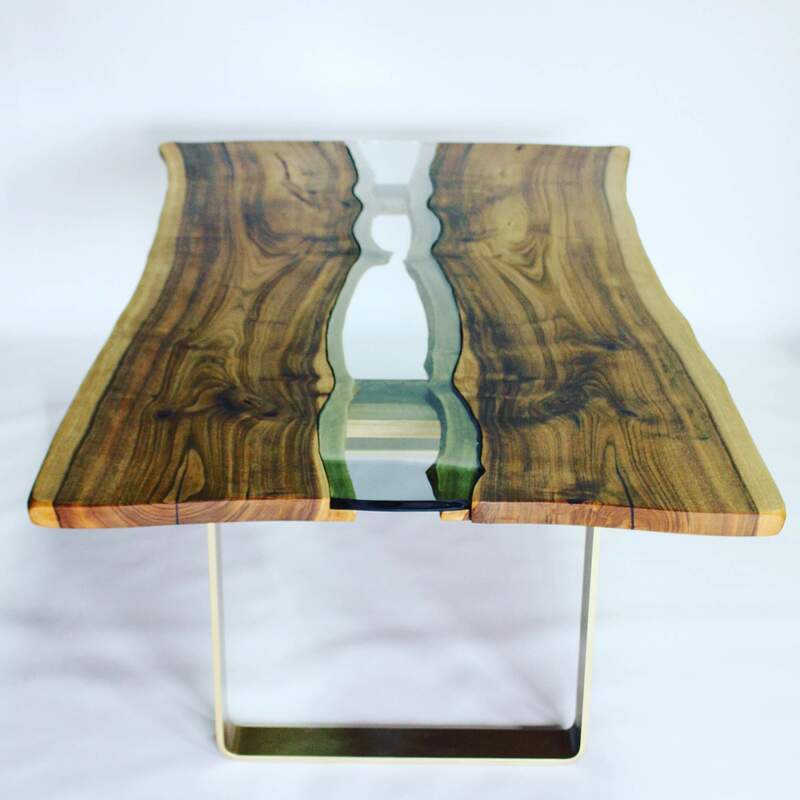 We had a vision for a sleek, modern table with brass plated base and LWD was able to completely customize the table and bring our vision to life. 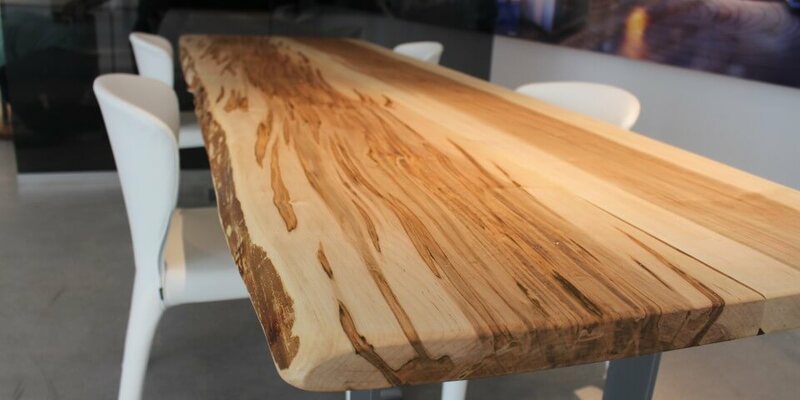 This beautiful table was created by Andy in his Canadian workshop with local slab hardwoods, and we were able to handpick the slabs used by email. 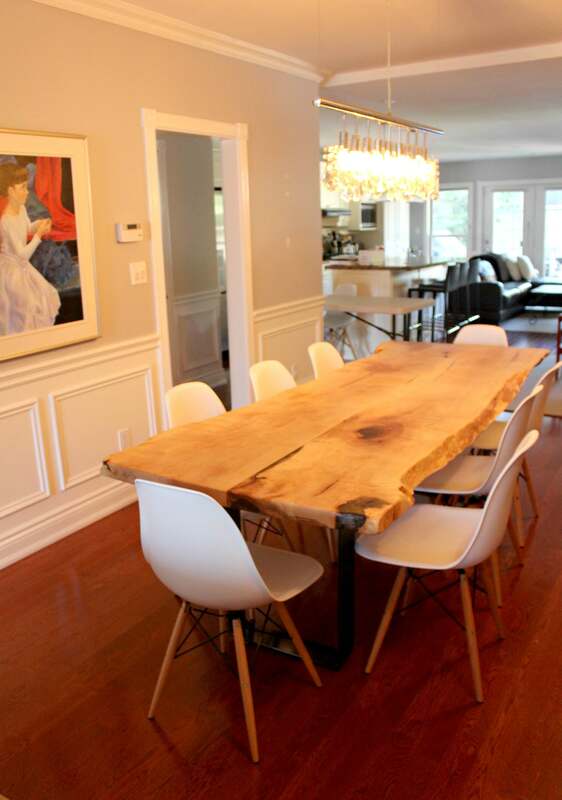 The table was delivered in only four days with a white glove delivery team. 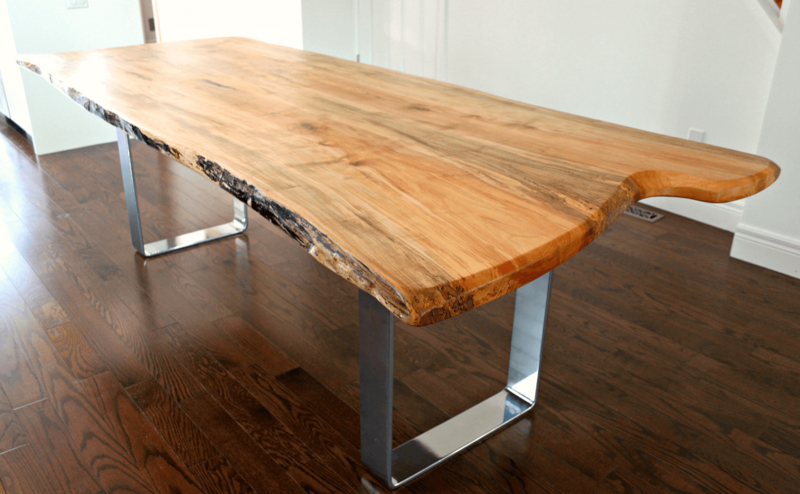 We have recommended Living Wood Design to many of our contacts and we would definitely use them again for more custom pieces.